As 2017 draws to a close, we’ve been looking back at an exciting year of exploring South America and so our team of Latin America travel experts decided to get together and create our very own Southern Explorations Best of 2017 list. We’ve included newly crafted Latin America trips, new experiences, new partnerships, new innovations and more, more, more of the things you love most about travelling with Southern Explorations. Despite what you may have heard, don’t worry, Cuba is still open to American travelers. In fact, our Cuba itinerary has turned into one of our favorite experiences of 2017. While new travel rules now state that Americans traveling to Cuba must experience the island within an organized group or independently under the “Support for the Cuban People” category of travel, you can rest assured we’ve gone the extra mile to ensure that every element of our new Classic Cuba trip fulfills the requirements. Meaning you’re safe to explore Cuba in Southern Explorations style in 2018. You asked for it, so we got to work crafting a trio of new trekking experiences in unforgettable Ecuador. First there was our Day Hike to Middle of the World and & Pululahua Crater itinerary, which takes our guests from Latitude Zero on the equator to the largest crater in the world. Then, there’s the new Iconic Cotopaxi itinerary, counting amongst its highlights a horseback ride through Volcano Alley and a pair of overnight stays at two incredible remote haciendas. Capping it all off is our recently unveiled four-day Andean Crater Cotopaxi tour, designed to pack in hiking adventures, culture, and a healthy dose of pure relaxation. To help further our commitment to sustainable travel and help you travel more responsibly, we joined a host of tour operators working to make a difference in the way we travel by supporting the TAP (Travelers Against Plastic) campaign, encouraging all of our guests to use reusable water bottles whenever they travel. Your overwhelming response and pledges to TAP ensured we’re all sticking to our Earth Month promise to improve lives and protect places! With the exciting addition of new Colombia trips combined with enhancements to several more, travelers can now delve into the culture and architecture of Colombia's most popular cities, as well as mountain bike, raft, and ride horses throughout the country with our Colombia Skylines, Discover Medellin, Classic Colombia, Colombia Multisport, Colombia Panorama, and Cartagena and Tayrona experiences. While we love exploring Latin America, sometimes our wanderlust takes us to different continents. In 2017, we got to meet Nick Bay, Founder & CEO of Your Private Africa, a like-minded Africa travel company who are experts at crafting safaris for all types of travelers, with amazing on-the-ground connections, and a passion for excellence and dedication to delivering the experience of a lifetime. Following our encounter with Nick we knew two things: one, we need to go on a safari with him right away; and two, we need him to share the magic of Africa and the importance of the "slow safari" with our travelers. You got it. This year we were thrilled to introduce our first ever Stand-Up Paddleboard trips. 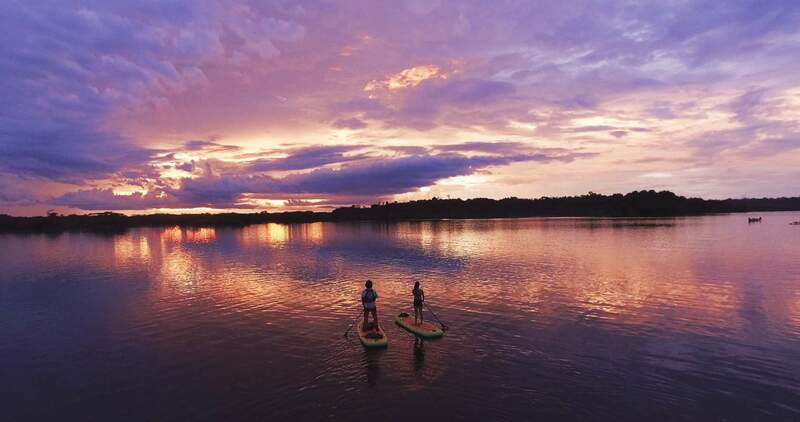 Our Amazon SUP tour gave travelers the chance to explore some of the most remote and pristine lagoons near the Cuyabeno Wildlife Reserve in Ecuador while our exclusive Galapagos SUP trip gave visitors a unique perspective of the remote islands made famous by Charles Darwin. It was a big year for Chile. Lonely Planet named Chile the Top Country to Visit in 2018 and it won South America’s Leading Adventure Tourism Destination at the World Travel Awards, the Oscars of the travel community. We celebrated Chile in 2017 by going big on the slopes. We first unveiled Southern Explorations ski trips in 2016 and then we took the overall experience up a notch in 2017 by pairing our favorite downhill options with complementary adventures, lodges, haciendas and more. Perhaps our biggest thrill of the past year was the launch of the Southern Explorations app. The interactive travel app keeps your important travel information organized and available at the touch of a button, even without an internet connection. Now, you can access information about the destination you’re exploring and your specific itinerary by tablet or phone, ensuring you have all necessary information with you wherever you go. The app – named Southern Explorations – is available for free through iTunes and Google Play.